Here at F. A. Hobson Landscaping on the Eastern Shore of MD, plants native to the Mid-Atlantic coastal plains are our preference, but with much experience in the field, we know which plant material that originates from farther afield will work in our soil and climatic conditions. Which, by the way, are quite different from those just across the Chesapeake Bay in other parts of the state. We’ll address that in a later issue. Low Maintenance…Can’t tell you how many times we meet with clients and at the top of their list of requests is that their gardens be ‘low maintenance’. No one wants to spend a huge amount of money or time mulching beds each year, weeding, spraying, pruning. We all lead action-packed lives and, while we do want to enjoy the outdoors and our beautiful surroundings, the drudgery jobs of maintaining those outdoor spaces are not high on our list of desired recreational activities. 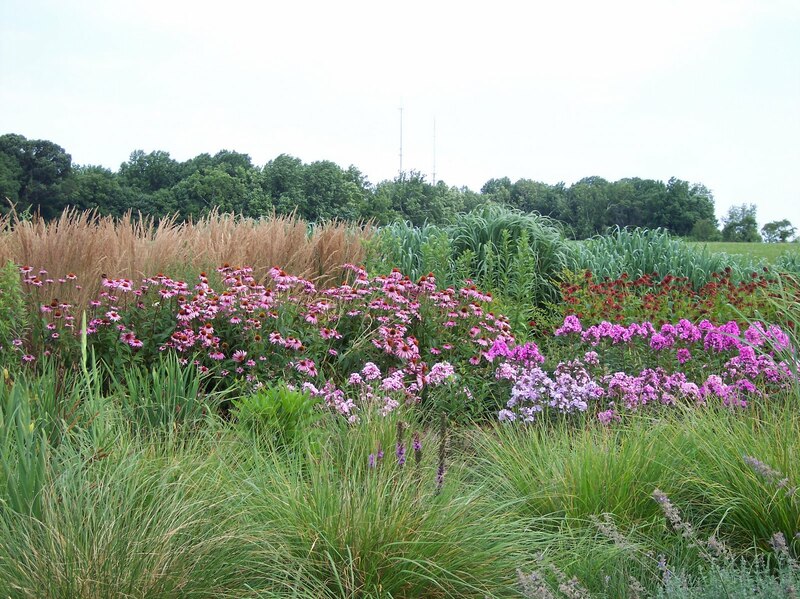 Once established, a Native Landscape requires MUCH less time and effort to keep attractive than manicured lawns or mulch-covered ornamental beds. Native plantings are installed in such a way that, once established, the plant material will cover the entire bed, eliminating the need for yearly mulching, greatly reducing the amount of weeds that can invade, and rarely needing extra irrigation or spraying of chemicals. This means we save water, contributing to sound ecological practices, and reducing the amount of pollution, both from small engine fumes used to maintain manicured properties, and the noise they produce. Good Health…Native Landscaping or ‘Naturescape’ promotes better health in people by creating soothing environments in which to relax and meditate. There is no need to use chemicals which are potentially dangerous to those who apply them, as well as the beneficial creatures that live in our gardens. Here on the Eastern Shore of Maryland, most properties are within close proximity to the Chesapeake Bay and its tributaries, and we have the responsibility to create sustainable landscapes. Not to mention the responsibility we all have to our children to reduce exposure to possible carcinogens and mutagens where we are able. Promote the natural ecosystem…through years of landscaping with non-natives and creating great expanses of perfect lawns, we have pushed out the indigenous material of our area, and introduced invasive plants that destroy habitat for the birds, animals and reptiles that live here. By reintroducing native species, we are returning the land to what it is meant to be. F. A. Hobson Landscaping, Inc. is an experienced design-build firm. We know Natives and how to adapt to your site and your needs/desires.